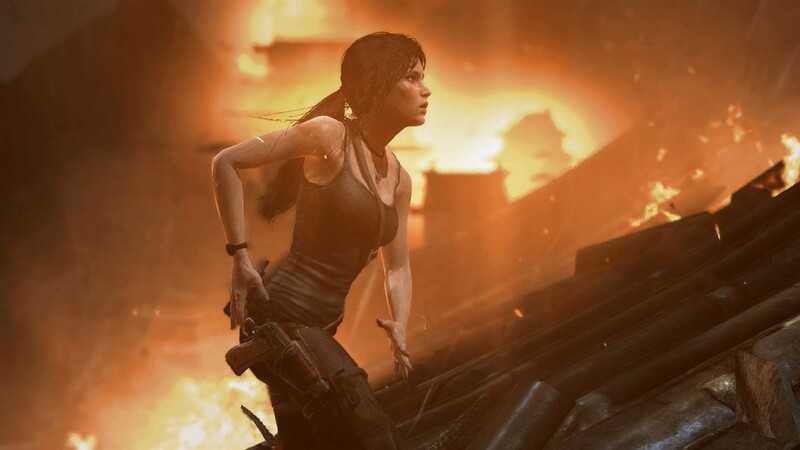 The cinematic action-adventure that forced Lara Croft to grow from an inexperienced young woman into a hardened survivor has been re-built for next-gen consoles, featuring an obsessively detailed Lara and a stunningly lifelike world. 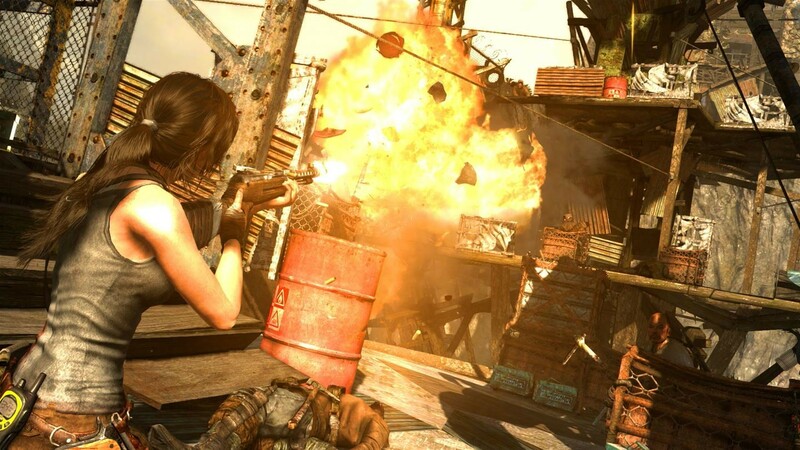 Lara must endure high-octane combat, customize her weapons and gear, and overcome gruelling environments to survive her first adventure and uncover the island’s deadly secret. 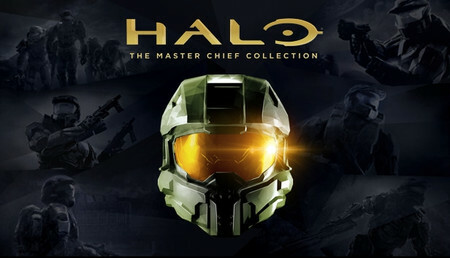 The Definitive Edition of the critically-acclaimed action-adventure includes bonus content and combines all of the downloadable content from the Xbox 360 version. super fast as ever instant gaming team!!!!!! keep the good job up!!!!! Amazing service, really quick process! Always wary of these sites but 1st time I've ever used and wasn't let down! Code received instantly and installed with no problems! Site is now bookmarked for future use! L'aventure est prenante, les combats dynamiques, l'infiltration plaisante et tout ça dans un gameplay très réussie. La production à même mis des photos de ses artistes faisant la pose pour le générique de fin de jeu... Inutile de dire que ces gens sont fières de leur travail qu'ils l'ont réalisé avec passion et ça se ressent. This really is a joy to play. It teaches you as you play making it so easy to pick up and have fun. I had always assumed it was going to be rigidly linear but you have considerably more freedom than I was expecting. I thoroughly enjoyed it. This game is awesome. I can recommend it. They did a fantastic job when it came to making the new tomb raider game. Can't really find much to complain since I played the old tomb raider games and this one really made me love tomb raider even more than i did. Just a fantastic game overall. The reboot went better than I anticipated even though there isn't much tomb riding and the puzzles are pretty easy and thin. It is more of an action adventure than a puzzler than previous instalments but it is one of the best reboots of any old franchise. Also, the PC port was done extremely well and the game looks fantastic and play just as well performance wise. 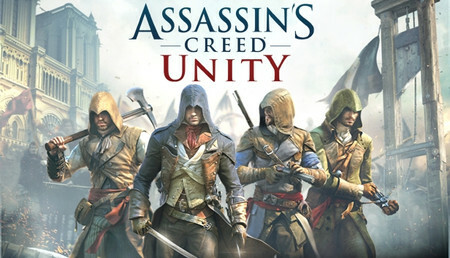 If you have't played this you are missing one of the best action/adventure games in the past few years and the sequel is even better! Ordered the game for the best price on the net and got the key almost immediately. Love this site. Góður leikur // Great game ! You are playing the iconic Lara Croft. The graphics are great, the storyline is well thought and made and takes time. There are achievements, difficulties for more challenge. Wonderful game, I cannot wait to play the next adventure. It pure joy playing it, sometimes it seems to be at the cinema watching an adventure! 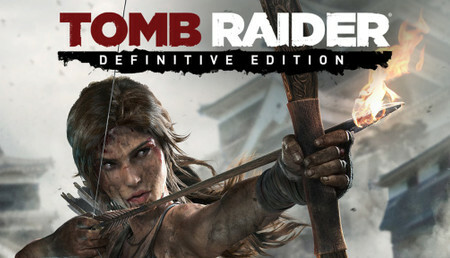 I would recommend it to anybody, both Tomb Raider's lovers and not. I would have love it to be a little bit longer! 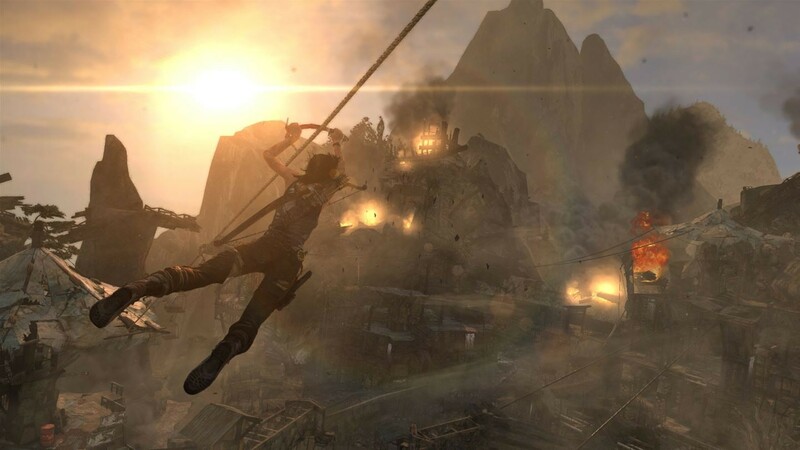 I was quite optimist for the reboot of Tomb Raider and I have to say that I had a good time with this game. 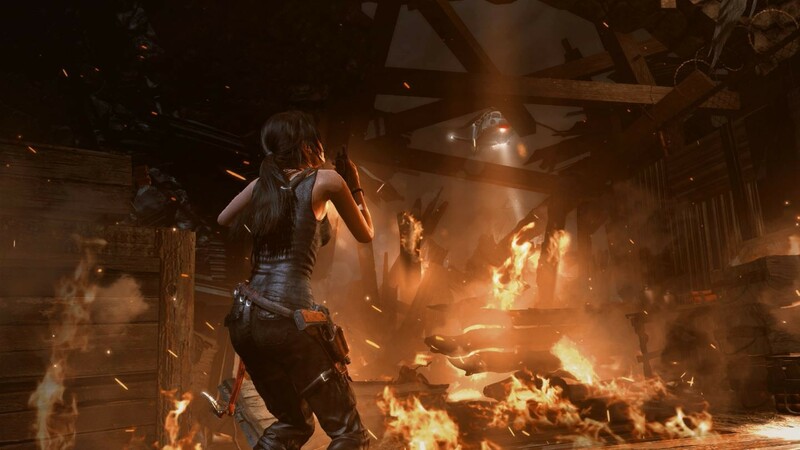 Story: This is a complete reboot and Lara is not yet the Lara we used to see in the others games as this is the first time that she go to a exploration. She go to a island for a ancient legend about a queen named Himiko and she want to find the explanation as no one as ever been able to go to the island due to storms and she will try with her crew to find out what happen. The crew will be attack by some men in this island and Lara will try to find them and resolve the mystery about this queen. Graphics: This is a good point of the game as the characters and the environment are great. When there is dirt/blood on Lara's body, it's really good and it help to be more in the game. You have the option to have Lara's hair beautiful but it it made the game bug or crash so it is not recommend to use this option but if you can activate it without problem, you will love it. However, there is some just a little clipping in the game and sometime you need to restart the game due to a graphics bug not often but it can be a inconvenient. 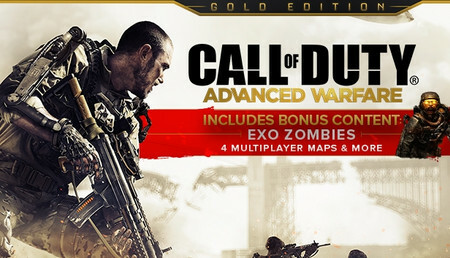 Gameplay: The gameplay is really good as you need to find some collectables to upgrade your weapons and that give you a good reason to search everywhere. Rebooting the Tomb Raider franchise was always going to be a brave move after the originals being classics. The big question is did they pull it off. The short answer is Yes. This is a very good game that reboots the franchise in a mini Micheal Bay style. Graphics: The game itself looks amazing, the character models and overall environment look great. 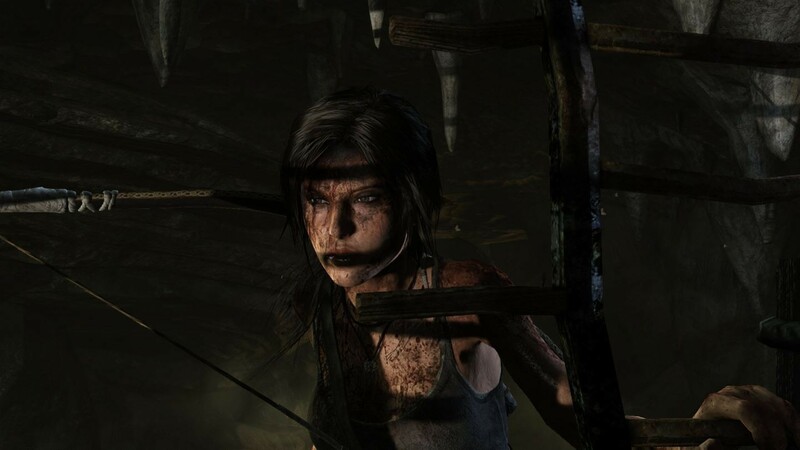 The dirt/blood textures that appear on Lara throughout the game look very good and help the story progression along with what is happening to you/Lara as you go along. However alot of things like Lara's hair and things in the environment do clip through things quite often and you can sometimes see objects that were probably left unfinished by the developers, which does slightly bring down the quality of the overall game. Gameplay: It plays great aside from sometimes when moving it can become unresponsive and can end with you falling off a cliff ( which has happened to me on a few ocassions ), but this doesn't affect the game too much as it does happen rarely. The fighting/weapons gameplay in the game are good enough for the game but can sometimes be annoying to use. Story: A slightly weird story with an anicent goddess and a cult for said anicent goddess. Along with having to find your kidnapped crew you go running, fighting, climbing and swimming around an island. Hab früher schon gern TombRaider gespielt.. Jetzt muss ich sagen. Das Game ist fantastisch. Der Aufbau der Geschichte, grafisch, inhaltlich super gelöst. Spannung und Aufregung war dabei. Das gesamte Game finde ich super - ein Muss für jeden Croft Fan - TOP. Rätsel viele und auch ziemlich trickreich, mit viel Überlegung - aber fand ich als Abwechslung nett gestaltet. Il gioco e' molto bello, la grafica e l'ambientazione sono ben fatte. Gameplay ben bilanciato tra combattimento ed esplorazione. Era da tanto che non giocavo a Tomb Rider e non mi sembra affatto difficile anche a livello di enigmi. Lo jugué por primera vez en PS4 y me encanto, ahora he tenido la oportunidad de jugarlo en PC con todo al máximo y es una delicia tanto en histortia, artisticamente, banda sonora, efectos de sonido, etc. Un juego a tener en cuenta y más al bajo precio al que puedes obtenerlo aquí o en las rebajas de Steam. A pesar del paso de los años, sigue teniendo unos graficos mas que aceptables. Juego entretenido y en la linea con la saga de Tomb Raider. Buena historia, mapas detallados y diversion asegurada. Y por el precio que lo compre, menos de 4€, fue la guinda del pastel. Un clásico brillante a un precio que lo convierte en compra obligatoria. Entretenimiento a raudales con gráficos buenos teniendo en cuenta que es un juego de 2013. El único "pero" es la rejugabilidad. Lo juegas una vez y a por el siguiente juego. Un ottima rinascita per il brand che pren de a pieni mano ( senza nasconderlo) idee e gameplay da uncharted. Persino certe scene in gico sono identiche alla famosa ip in eslcusiva di sony. Come la caduta dal treno. Però resta un titolo anche se spesso copiato su molti aspetti di alto livello e molto divertente. ia deficitaria che vaga spesso davanti a noi senza sparare e che uccidiamo facilmente con arco e frecce mentre loro hanno dei fucili. Ho trovato diveretentissimo l'arco tanto da preferirlo ad ogni bocca di fucoo e l ia scarsa ha favorito l'uso. Gli enigmi capo saldo della serie sono scomparsi. ci sono queste tombe da esplorare con enigmi semplicissimi ma non sono obbligatori. Una storia carina anche se nn troppo di spessore. Il titolo di sicuro vi divertirà molto nonostante alcuni evidenti difetti. Die Lara Croft - Reihe ist defintiv zu empfehlen. Super Grafik, super Locations und eine schöne deutschsprachige Synchro passend zu unserer Lara. Schönes Spiel und tolle Story! Für jeden Crift Fans dabei. Quel jeu !!! Incroyable ! Tout y est, le gameplay intuitif, les scènes d'action nombreuses, la longévité correcte, les graphismes soignés, etc. Ca faisait longtemps que je ne m'étais pas plongé dans un jeu d'action/aventure, je ne regrette pas ! Petit bémol tout de même sur le côté sombre des décors. D'accord, je comprends que cela soit fait pour rajouter une ambiance intrigante, mais parfois c'est tellement sombre qu'on ne distingue pas les plate-formes ou l'énigme, ce qui embêtant. Mais c'est vraiment pour chipoter, le jeu reste très très bon. Super jeu ! Les graphismes sont beaux et réalistes. La jouabilité est excellente ! Mon PC n'est pas récent et n'a pas une grosse config par rapport à ce que l'on peut trouver aujourd'hui et pourtant le jeu tourne à merveille! Schöne Grafik und die Atmosphäre ist einzigartig ich empfehle es sehr ! Die Musik und die Gegend verführen dich in die Welt von Lara Croft . Endlich Mal wieder ein gute Tomb Raider Ist lange her. Buen juego, historia entretenida y buena jugabilidad. Me gusta mucho este reboot de la saga. Por comentar algo negativo, me gustaria que fuera un poco mas realista y que no se callera todo a nuestro paso, entiendo que es una mecanica para que en pantalla todo quede mas bonito y el jugador sienta algo de presion. Il gioco e' molto bello,la grafica e l'ambientazione sono ben fatte,spero che anche a livello di durata sia all altezza.Era da tanto che non giocavo a tomb rider e non mi sembra affatto difficile anche a livello di enigmi. muy buen juego para pasar el rato, maravilloso, todo fue al instante y perfecto, recomiendo jugarlo con una pantalla grande para sentir mejor la emocion de los sucessos, recomendado para los amantess de este genero. Ca fait longtemps que je n'ai fait pas de review sur un jeu, alors on reprend doucement avec ce Tomb Raider, les points positif seront noté en haut, puis les négatifs et pour finir la conclusion, bonne lecture ! • Les graphismes sont très jolis et plutôt bien optimisé, au début j'ai eut peur de ne pas faire tourner le jeu avec mon vieux pc qui a quand même 5ans... Même si c'est un i7 avec une GTX 670 MX je ne peut pas tout faire tourner et pourtant je l'ai fait tourner en normal sans lag ! • L'univers de ce Tomb Raider est intéressant, quand j'ai entendu parler de la princesse Ymiko je me suis dit "Ah comme dans le film !" sauf que bon ça n'a strictement rien avoir avec le film l'histoire est complètement différente. Cependant j'ai vraiment aimé l'ambiance, on ne cesse de vouloir progresser assez vite puisqu'on a rarement le temps de souffler entre chaque événement de l'histoire. • Compatibilité clavier/souris parfaite : Quand j'achète un jeu en sachant qu'il est sur console, j'ai un peu peur de me dire que je vais être obligé de brancher ma manette, et je comprend les gens qui se posent souvent cette question avant d'acheter un jeu "Peut-on jouer au clavier souris ?" parce que fut un temps ou je n'avait pas de manette... Mais rassurez vous ! J'ai fini le jeu entièrement au clavier/souris ! • Petit secret et autres choses caché : Même s'il n'y a pas besoin d'être un as de la découverte pour faire le jeu, il est quand même plaisant d'obtenir certain secret tout en découvrant l'histoire du jeu parmi quelque journaux dissimulé dans le jeu. • Prix dérisoire : Effectivement 3€90 (le prix que j'ai payé.) pour ce Tomb Raider ça vaut vraiment le coup, quoi qu'il arrive à ce prix on rentabilise forcément l'achat du jeu alors je ne regrette en aucun cas mon achat ! • Durée de vie : Alors là les puristes me cracherons dessus sans doute, mais la durée de vie est extrêmement courte malheureusement... J'ai fini le jeu a 72% en seulement 10 heures de jeu, alors même s'il y a la possibilité de se téléporter de feu de camp en feu de camp comme dark soul bah... C'est beaucoup trop peu. • Les améliorations d'arme et talents : Bien que l'idée en elle même soit bonne, je la trouve très mal exploité, dès le début du jeu on se retrouve avec un petit quelque chose venu pimenté le jeu qui nous impose de faire des choix dans nos améliorations d'arme et de compétences... On doit prendre le l'xp pour améliorer nos compétences et trouver des matériaux pour améliorer nos armes... Jusque là je pensait l'idée vraiment super, ça nous offrais un gameplay varier me dis-je... Mais non, car au final il est facile de tout améliorer, et de se retrouver avec toute les armes maxé + toute les compétences et je trouve cela vraiment dommage parce que ça rend le jeu vraiment trop facile... En parlant de difficulté regardez le point suivant. • Difficulté ? J'ai acheter le jeu parce que j'ai vu mon amie y jouer, je me suis dit ah, il est quand même très facile et elle m'explique qu'elle est en normal... Donc quand je l'achète je met le jeu en difficile ! (Ce que je recommande pour s’amuser un peu.) Sauf que le jeu est vraiment extrêmement simple, les énigmes ne cassent pas trois pattes à un canard et les ennemies sont vraiment prévisible... Sans parler du fait qu'ils sont peu nombrer, car oui en se baladant dans l'histoire on va tomber sur 2 ou 3 mec, puis 2 ou 3 autres mecs puis "oh mince" un pack de 6 ou 7, mais ça s'arrête là... Il n'y a pas vraiment de challenge et je trouve ça vraiment dommage. Si on me demande "Conseilles-tu ce jeu à quelqu'un ?" j'y répondrais oui à tout le monde à condition de l'acheter a moins de 5€. J'ai fait une review sur Hunted the demons forge qui explique que le jeu est peu cher et donc vaux le détour, pour Tomb Raider c'est la même chose ... S'il est a moins de 5€ foncez mais n'espérez pas avoir un jeu difficile entre vos mains, c'est un jeu de découverte fait pour ceux qui veulent se détendre. J'aime beaucoup Tomb Raider, mais un point que je n'ai pas noté car il ne dépend que de mon opinion personnelle... C'est que pour moi l'emblème de Lara Croft c'est ses deux flingues... Et malheureusement on ne jouera pas Lara double gun, on ne la verra que dans une scène cinématique "joué" utilisé deux guns pour dire "Voilà Lara" mais c'est tout. Je donne peut être l'impression de ne pas aimé ce jeu, pourtant je l'ai dit je ne regrette pas mon achat, Tomb Raider est vraiment bien, mais je ne veux pas lui attribué plus de mérite qu'il devrait en avoir... S'il est si peu cher, finalement c'est qu'il y a sans doute une raison. P.S un petit point négatif tout minuscule de plus : Il y a trop de "comme par hasard" sur le jeu... Vous allez avancez et pouf comme par hasard un cailloux va tomber et vous ouvrir un passage... C'est comme ça sans arrêt. Petit secret sympa et journaux qui aide à découvrir l'histoire ! Pas de new game plus donc c'est le plus une fois l'histoire fini. Trop de comme par hasard ! Ein echt gutes Spiel was schon nach wenigen Minuten sehr viel lauen macht. Das spiel sieht trotz seinem alter gut aus und isst interesannt. Allerdings bracht es Ewigkeiten bin man alle Sachen eingesammelt hat und der Multiplayer modus ist mehr als schlecht. Ya me lo pasé en PS4 en su momento pero ante la espera de Shadow of the tomb raider, me apetece volver a pasarme los dos anteriores. Gran juego que no dura muchísimos....pero costando menos de 4€ merece la pena la verdad. Espectacular juego, square lo ha echo bien en coger este mítico personaje de Lara Croft, si alguno se lo esta pensando, que ni lo dude porque el juego vale cada euro y mas, unos gráficos espectaculares para el tiempo que tiene y una jugabilidad increíbles, la hitoria esta guapisima y ves a Lara desde sus inicios hasta convertirse en una autentica heroína. Le doy esta puntuación no solo porque soy fanático de la seria, si no, porque aparte de entregar una grandiosa jugabilidad, nos da un multijugador entretenido. Al dia de hoy aun continuo jugando la historia. 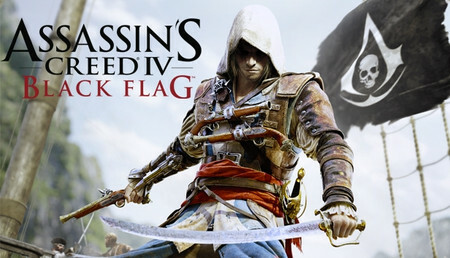 Espetacular o jogo! Intertém muito bem os jogadores, claramente um jogo para nos perdermos umas horas, cria aquela emoção de querer continuar a história e ver o que vai acontecer a seguir, que barreiras temos de ultrapassar, que escolhas temos de fazer! Der Reboot der Tomb Raider Reihe ist sehr gut gelungen und weis spielerisch sowie grafisch zu begeistern. Das Crafting und Skillsystem sind dabei passend ins Spiel integriert habe mir den ersten sowie den zweiten Teil geholt und freue mich nach diesem Spiel auf den dritten Teil. très bon jeux surtout pour ce prix! assez beau graphisme pour son temps. Le scénario est vraiment bien écris et l'immersion vraiment bien réussis et les paysages sont très détaillé. Mais le jeux est parfois incohérent surtout quand tout explose mais qu'on retourne en arrière parce qu'on a oublié de prendre une boîte ou une caisse de matérielle sa casse un peu l’immersion mais sinon très bon jeux. Ich habe das Spiel bereits auf der PS3 sowie die Defi Edition auf der PS4 Gespielt und Liebes dieses Spiel!. Daher habe ich es mir auch für den PC gekauft da ich von der Normalen Konsole auf PC Umgestiegen bin ! una volta istallato andate nella libreria di steam cliccate sul gioco proprietà e selezionate la lingua in italiano e parte il download... Che dire il gioco funziona, va molto bene, e non serve un pc della nasa per giocarci, ho messo tutti i requisiti al massimo e va alla grande, Intel i7 860, 8gb ram, asus gtx 960 4gb strix. Le jeu est tout simplement génial les graphisme sont bon pour l'époque de sortie, l'histoire est intense et rapide. Les décors sont beaux cependant la durée de vie pas suffisante à mon gout et les contrôles sont parfois aux fraises. Mais le rapport qualité prix y est alors foncez !!! Superbe jeu d'action/aventure avec un petit coté RPG. Les graphismes sont beaux, le gameplay plaisant, l'ambiance sonore bien réalisée. L'histoire est sympathique sans pour autant etre incroyable. Gioco che sente gli anni, ma ha ancora un discreto potenziale dato che offre argomenti che certi giochi recenti; anche survival neanche contano. Gameplay ben bilanciato tra combattimento ed esplorazione. Me parece un juego muy entretenido. La historia no está mal, y tiene muchos desafíos, "misiones" y puzzles que hacen que se alarguen las horas jugables. Yo me lo pasé al 100% con todos los objetos conseguidos, y no me aburrió. Je me demande si c'est pas devenu le Tomb Raider que je préfère après ce n'est pas comparable. Ce jeu a un bon rythme, par moment speed et par moment calme c'est ce qu'on aime. Action et énigme. Niveau graphique c'est beau, un peu sombre par moment mais ca met dans l'ambiance. Le gameplay est très bien aussi, pas eu de soucis de caméra ou de direction. Un Tomb Raider qui me fera acheter le prochain. Un juego increible, pude jugarlo con todo en la máxima calidad y es sorprendente. Una buena evolución de la saga. Gran jugabilidad. Acción, puzzles y una buena historia. Me ha parecido corto incluso xD.